The Astaldi Group announces to have won orders in Italy for app. 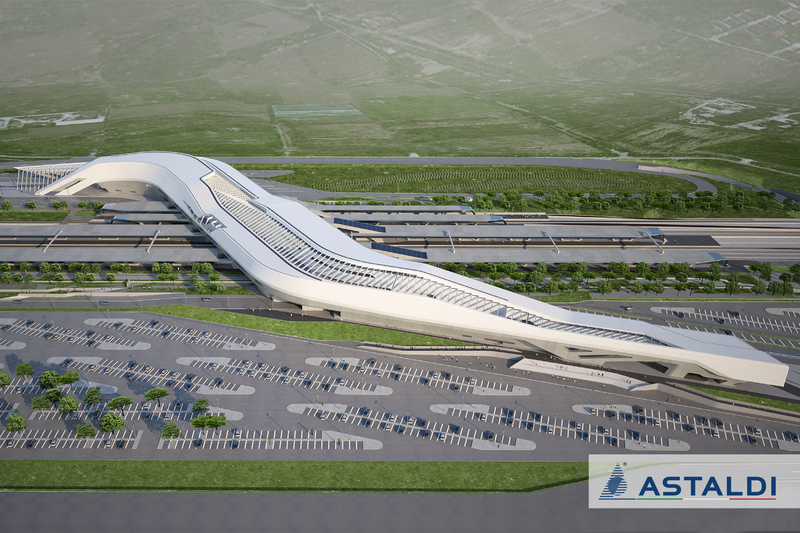 EUR 190 million, referred to the following works: EUR 61 million, for the completion of the Naples-Afragola High-Speed Railway Station; EUR 52 million, for the dredging works in the Port of Taranto; EUR 45 million, for the Monte Nieddu Dam in Sardinia. EUR 45 million, for the Monte Nieddu Dam in Sardinia. The works provide the construction of a dam (maximum height: 75mt), and further electromechanical works. The Client is Consorzio di Bonifica Sardegna Meridionale (a public body). The works are slated to begin starting this coming March, with a duration equal to 42 months. EUR 30 million, for structural works, systems works, civil works, etc. for the recovery and urban transformation to office use of the Angelini Group’s Rome main offices. The actions under contract to date amount to EUR 16 million, with the remaining EUR 14 million to be activated upon completion of the first phase. The new building complex will consist of a central body equipped as a multifunctional facility, in addition to four blocks of offices arranged in an “L” shape, topped by a bridge building with underground car parks and depots. The works are slated to begin starting this coming March. Moreover, the project will use ecologically sustainable materials and technologies that will make it possible to improve energy efficiency and earn the LEED® Leadership in Energy and Environmental Design certification of reference for environmentally sustainable buildings. With this contract, a new line of activity opens for Astaldi: that of environmentally sustainable residential recovery, thought capable of generating further business opportunities in the future, thanks also to synergies with the subsidiary NBI.